What is the Facebook Messenger Kids App? 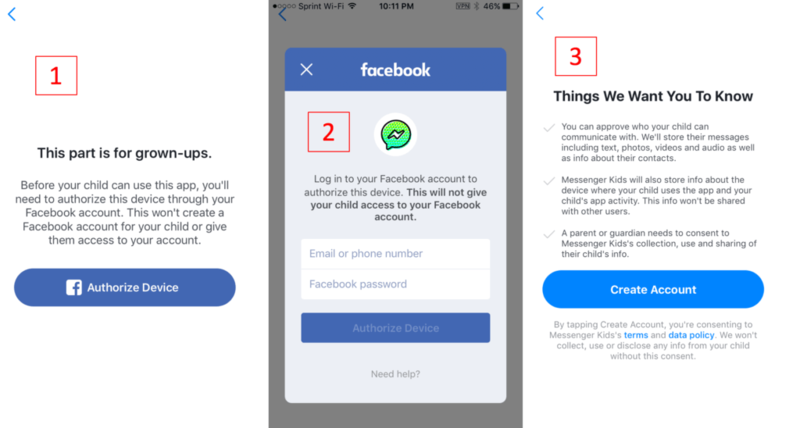 App Store description: Designed specifically for kids “ages 9-11,” Facebook is attempting to create a social media platform that complies with COPPA (doesn’t violate privacy of kids), gives parents a wide set of controls, while likely grooming kids to love Facebook as adults. 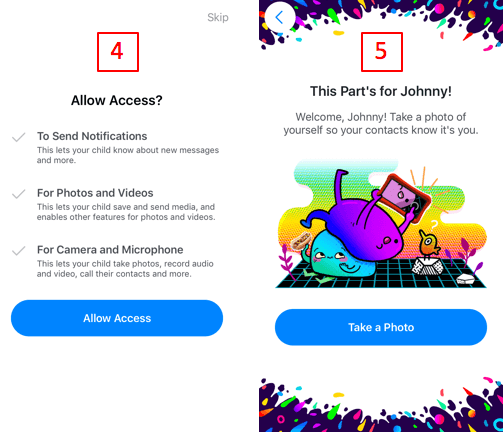 If you use Facebook Messenger as an adult, then you’ll recognize Messenger Kids as a retooled version of what you’re already familiar with, complete with kid-friendly emoji’s, GIFS, stickers, filters, on-screen writing, video calling, and more. It works on all iOS devices (iPhone, iPad, iPod Touch) for now – an Android app has been promised soon. What do parents need to know about Messenger Kids? Yep. Facebook wants to hook kids. But, our stance is, “why is that a surprise?” Facebook has always been about addiction. They’re exploiting adults every day. Let’s not act so surprised by this move. From a business perspective, it’s brilliant. Honestly, the parental controls are good. We spend a lot of time in elementary school classrooms. At least 50% of the 5th graders we talk to have their own social media account! And, it’s usually Snapchat, Instagram, or Musical.ly all of which are bad news for kids who are supposed to be at least 13 to use any of them. If a parent is going to allow a kid to use social media at a young age, then at least Messenger Kids is a safer option with many of the “fun” features of social media, without the risks. We couldn’t find any backdoors to a Google search (which is unusual). What’s more, we tried sending a YouTube link to a dummy kid account we created in the app, and we couldn’t open it unless we had the YouTube app also loaded onto the phone (the link transported us from Messenger Kids to the YouTube app). So, if parents are concerned about their kids opening links from friends, then make sure to have “limit adult content” enabled in Restrictions so you can review search history. Kids can’t delete message history! Awesome! Engaged, nosey parents (the kind we really like), can see what’s being said. Here are the set-up screens, giving me parental control and explanations at every step. For parents who want a safer social media platform that provides a training ground for more adult apps like Instagram and Snapchat, then honestly, Messenger Kids is great. This stance will likely surprise many of our followers, but as an interim step between SMS texting and a full-blown, unmonitored social media experience, we think Messenger Kids is great. If you’re a parent who’s absolutely opposed to any early social media exposure, that’s completely fine and this app isn’t for you. But, for certain parents, it’s nice to now have options! Are you interested in having greater insight into the social media platforms that your kids are using? Bark is one of the best platforms we’ve tested. They’re constantly looking for ways to dig further into apps like Facebook Messenger Kids and others, to keep parents informed about the information that matters. We trust them and we think you should, too!